The Crooked Brothers, a band from Manitoba, Canada, are coming back to Europe for the second time. We are a little unorthodox in our methods of touring, recording, and really, all things music (if you have heard our band, you probably know this). And thus the reason for this post. We believe that it is possible these days to make things happen based on the interactions of good folks who love music, who support live music, and who get involved for the love of it. For this reason, we've spent the last five years booking our own tours, writing our own music, and recording our own albums. We really do everything ourselves. We've even built two log cabins and a strawbale house in that time, no lie. Our friend Paolo from the Willisau Spring Bluegrass Festival suggested we make a post on this blog to see if anyone is interested in booking the Crooked Brothers for a show. I thought this was a great idea. So here we are. We play all sorts of venues, big theatres or festivals or house concerts or bars or backyards or anything you could imagine. Last year we toured to France, Netherlands, Belgium, Switzerland, Germany, Poland, and Czech, but really, we'll drive anywhere if it makes sense! We will be in Europe for the month of May, so if you're interested, give us a shout! 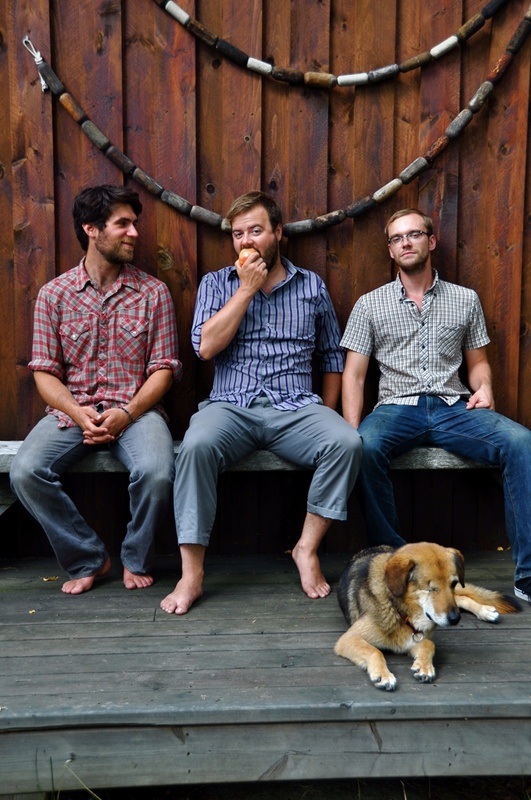 The Crooked Brothers are Jesse Matas, Darwin Baker, and Matt Foster - all three are songwriters and multi-instrumentalists (banjo, mandolin, dobro, guitar, harmonicas). Their music can be heard on their website and their YouTube channel, and they are also on Twitter and Facebook.